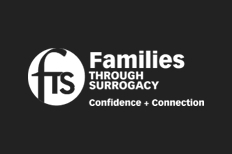 On March 21, Tracy Horan attended conference on surrogacy in London organised by non-profit organisation “Families Through Surrogacy”. The impressive full day programme is a fresh event for UK, organised by a team with experience in running surrogacy conferenced in many locations around the world. The day programme included workshops with top UK legal experts, renowned researchers, counsellors and psychologists, support agencies as well as surrogacy-parents speakers, surrogate mothers and surrogate born people. The conference offered a rare opportunity to meet all the essential expects in the field in one place and to mix with people who have been there and done it already. Key speakers were Nicholas Rollason and Jonathan Wharton who spoke of difficulties regarding passports for UK citizens, as well as Loiusa Ghevaert who spoke of legal difficulties faced by those wishing to avail of surrogacy.